Tourism and lodging leaders said Thursday they strongly support an increase of up to three percent in the transient occupancy tax to modernize and expand the San Diego Convention Center. The tax increase, which will come before voters in November, will also provide money for street repair and programs to help the homeless. “It’s rare for any business to support a tax hike on its operations, but our convention center is losing conventions and turning away others because it is outdated and inadequately sized to accommodate them,” said Joe Eustice, board president of the San Diego County Hotel-Motel Association. Mike McDowell, CEO of the San Diego Lodging Industry Association, said the hotel tax generated more than $200 million for the city in 2016 and could bring in much more. 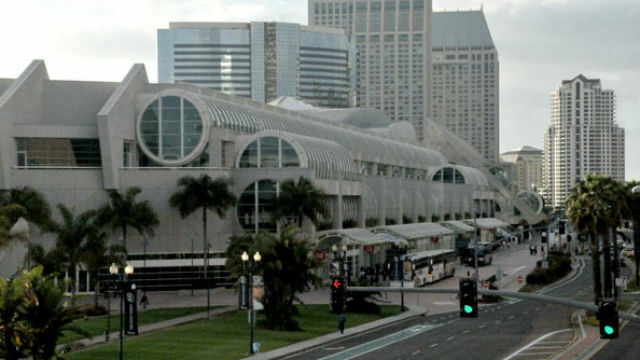 “We can significantly increase this revenue stream if we modernize and expand the San Diego Convention Center, and we are willing to tax ourselves to get this done,” he said. An April 2017 report by HVS Convention, Sports & Entertainment Facilities Consulting suggested the convention center has reached its effective capacity. The study predicted that the proposed modernization and expansion plan would attract 50 more events and 380,000 new overnight lodging guests each year. “A hike in the visitor tax of up to three percent for lodging facilities will keep San Diego competitive with the other markets like Orlando and Las Vegas and help boost tourism,” said Joe Terzi, president and CEO of the San Diego Tourism Authority. The city council is scheduled to hold an informational meeting on the proposed increase to the visitor tax on Monday. A majority vote by the council is needed to place the item on a special election ballot in November.